Do You Want a Cheap Car Lease? Here are some helpful tips that will help you obtain a cheap car lease. If you want to drive the best new cars without spending all your monthly earnings, then you should find an affordable car lease. Since you are basically paying for the depreciation (or the ‘use’ of the car), leasing will give you more affordable monthly payments compared to buying or financing a new car. You can also lease a better car, and even lease an SUV for the same monthly payments as financing a smaller car. Tip 1: Select a car that you can actually afford. As stated above, you can choose to lease a more expensive car and pay less compared to a new car financing loan. However, you should still lease a car that is within your budget range. Remember that the lease price will also depend on the MSRP or dealer invoice of the car. Leasing a more expensive automobile will give you higher monthly payments, negating any savings that you’d expect from a new car lease. Tip 2: Select a vehicle with a higher perceived value at lease end. In short, you should focus your efforts on a vehicle with a higher resale value. Your monthly lease payments will also be dependent on how much the car will be worth when the lease term expires. Import brands such as Toyota and Honda cars generally have a higher resale value compared to other brands. Luxury vehicles such as Mercedes-Benz, BMW, and Audi vehicles also have high resale values. Tip 3: Majority of new car lease deals require a down payment. This is to somehow reduce the monthly lease payments that you are going to make. You can pay a higher down payment and get lower monthly payments, but be careful not to pay too much down payment. If the car gets stolen or totaled in an accident, you will never get your down payment back. Tip 4: Maintain a good, or at least average credit score. The lease deals that you see being advertised on TV and on the radio are reserved for buyers with a good or average credit score. Keep in mind that the money factor rate /interest rate on your car lease will be based on your average credit score. If you have good or average credit, then you can expect to qualify for the best new car lease deals in the market. There are no secrets to new car leasing. Consider the tips mentioned above and you are on your way in finding a cheap car lease with low monthly payments and low interest rates. Would You Like to Lease a CNG Bi-Fuel GM Truck? The high cost of fuel is forcing car makers to think outside the box. 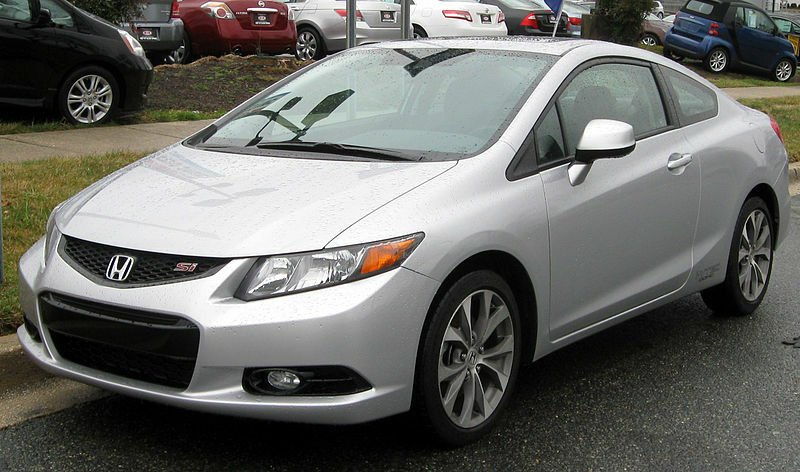 Honda introduced the Civic Natural Gas and it was immediately crowned as the car with the cleanest internal-combustion engine on Earth. General Motors has announced that they will begin selling a dual-fuel version of the Silverado and Sierra pickup truck. Chevrolet and GMC dealers will begin taking orders for a CNG and gasoline fueled version of the GMC Sierra and Chevy Silverado. This move is in response to the needs of business owners who want a more fuel efficient commercial vehicle. Based on studies conducted by the U.S. Department of Energy, natural gas vehicles produce less harmful pollutants compared to a conventional gasoline or diesel engine. Tests were performed on heavy-duty vehicles that utilized CNG for fuel. The results were staggering, as CNG fueled vehicles reduced nitrogen oxide emissions by 49%, and an impressive 84% fewer particulate emissions compared to a diesel engine. Add to that the fact that natural gas costs 1/3 less than gasoline, and the benefits are now easier to understand. Vehicles that burn CNG are not only cleaner, but they cost less to operate as well. Most of the problems associated with CNG vehicles will have something to do with the installation and the quality of the parts used during the conversion process. But the major disadvantages of CNG vehicles is the loss of trunk space and increase in weight. Since you will need to have a separate fuel tank to store the CNG fuel, small vehicles will have to contend with a smaller trunk and loss of storage space when equipped with a bi-fuel system. There are no such problems with the GMC Sierra and Chevrolet Silverado. The CNG tank will be positioned in the bed of the truck, and will have the capacity to store 17 gallons (or 64 liters) of compressed natural gas. Along with the conventional 36-gallon gasoline tank, the bi-fuel pickup trucks will have a maximum driving range of around 650 miles, or 1,000 kilometers. Depending on your driving habits, the CNG-powered Sierra and Silverado pickup trucks are expected to save around $4,000 to $10,000 in fuel costs over a span of three years. This is good news for business owners or private individuals who are looking for a powerful, economical, and long range full size pick up truck. Fleet and retail customers can start placing their orders for the 2013 GMC Sierra and Chevrolet Silverado 2500 HD bi-fuel pickup truck beginning April 19, 2012. The Chevy and GMC bi-fuel extended cab pickup trucks are expected to cost $11,000 more than the standard gasoline-only version. 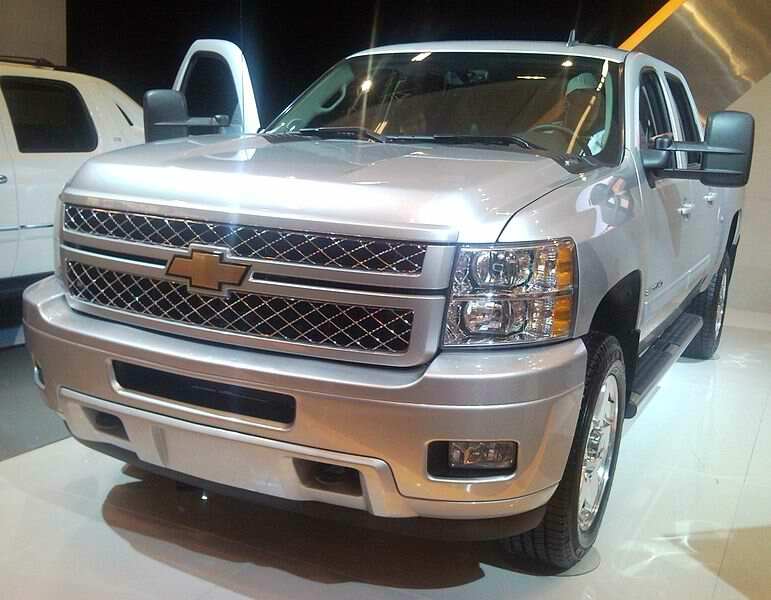 Would you like to lease a CNG bi-fuel GM truck? Will the potential fuel savings be enough to justify the higher cost? Auto insiders were asking the same kind of questions when hybrid vehicles were introduced in the beginning of 2000. Hybrid cars are still here. Let us hope that CNG and bi-fueled vehicles have a bright future as well. 1. Depending on the severity of your credit score, you should give it some time before you lease or buy a car. Of course, this will also depend on your needs. If you need a new car fast, then there is no problem with paying a little extra for the interest rate, but why not save yourself some money in the first place? Think long term: 6 to 8 months is enough to fix your credit score. Those with a poor or bad FICO score should wait at least a year. There is no magic trick that will instantly improve your credit rating, but if you plan ahead and give yourself some time to somehow fix your credit rating, then you earn a chance to pay less on your car loan or car lease. 2. After planning ahead, it is now time to bring out your calculator or smart phone and do some number crunching. How much are you earning in a month? How much are your monthly and utility expenses? How much do you spend using your credit card? How many bills are past due? Are you buying stuff that you don’t need? Ask yourself these questions so you can determine how much you can actually spend, without pinching on food and other important items. After doing all this, determine how much debt you owe and make a commitment to pay past due debt ASAP. A single past-due entry on your credit score will severely affect your credit rating. If you have a lot of debt, pay them in small monthly increments until everything is settled. Your mantra should be: pay debt before making any purchases. 3. Do not close out your credit cards–but you should only use the ones with the lowest interest rates. Check your monthly account balances and see which credit card is providing you with the lowest monthly charges. If you close out your credit cards, then your credit history will be affected as well, and this will not create a favorable impression among lenders and car leasing companies. You will need discipline to improve your credit score. But when done right, you will soon find yourself driving home the car that you have always wanted–without breaking an arm and a leg. Professional-grade engineering and build quality comes standard with every new GMC vehicle. 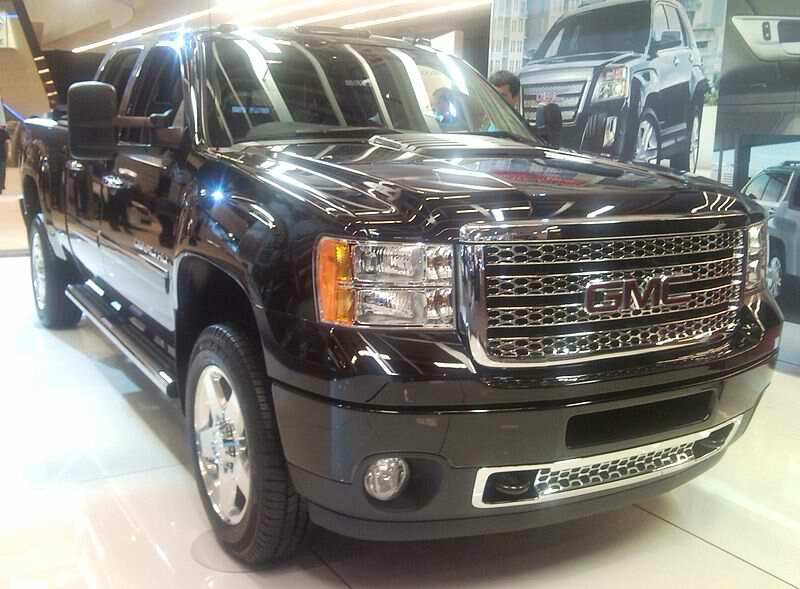 Those who are currently searching for updated GMC lease deals have come to the right place. Here is where you can find the best GMC lease deals, financing incentives, and cash back offers to enjoy magnificent savings. GMC lease deals, rebate offers, and financing incentives may differ according to your zip code. Certain qualifications will also apply. Lease deals for the GMC Acadia starts at only $299/month for 36 months, with less than $800 due at lease signing. The Acadia also comes with up to $2,000 consumer cash or 0% APR financing for 60 months. 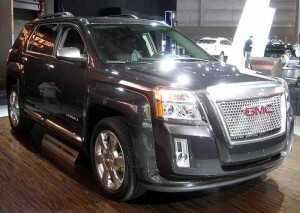 Lease deals for the GMC Terrain starts at only $269/month for 39 months with around $1,500 due upon lease signing. Special incentive offers for the GMC Terrain includes a low APR rate of 2.9% for 36 and 60 months financing. Lease deals for the GMC Yukon starts at just $419/month for 39 months, with $2,200 due at lease signing. You can also take advantage of 3.9% APR financing for 36 months on the GMC Yukon, or get up to $1,000 consumer cash with every purchase. 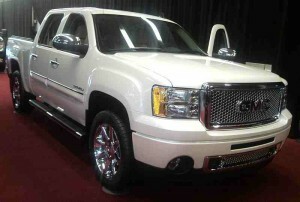 All GMC lease deals are valid until 4/30/2012. The GMC Sierra is well-equipped for serious work and play, and is an ideal pickup truck for the whole family. Special incentive offers for the GMC Sierra include 0% APR for 72 months financing or up to $2,000 in bonus consumer cash. The GMC Canyon is an affordable compact pickup truck that will serve you well whether you need to carry heavy farm equipment, or simply need a robust vehicle to be used around town. The GMC Canyon is available at 1.9% APR for 60 months and also comes with an additional $1,000 bonus consumer cash. 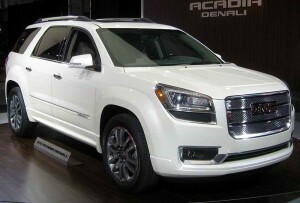 GMC incentives and cash back offers are valid until 4/30/2012. GMC dealers offer you a variety of money-saving ways to drive home your very own professional-grade GMC truck or SUV. Whether you are buying or leasing a new GMC, the latest incentives and GMC lease deals will help you decide which offer is better suited for your needs and budget. The secret to leasing a new car is knowing the basics. Familiarizing yourself with common leasing terms such as the residual value, capitalized cost reduction, and money factor will prevent car dealers from overcharging on your monthly lease payments. We are not saying that car dealerships are dishonest when it comes to offering lease payments. It’s just that there are a lot of complications in the leasing contract. There are certain entries or values that the consumer might find hard to understand. This, in turn, leaves the consumer vulnerable to dishonest car dealers that are willing to earn an extra buck. Here is a simple car leasing formula that will help you to arrive at the monthly lease price on any type of car. Remember that not all new cars are available for lease, and the lease price will vary according to your place of residence. To know more about the latest lease offers in your zip code, you should get a free new car lease quote to gain updated lease prices and secret lease offers near you. Let us assume that you want to lease a car with an MSRP of $25,000 for 36 months. The car has a residual value of $14,000 and you negotiated the price down to $23,500. The down payment is $2,000. Using the formula above, the depreciation fee is $23,500 – $2,000 – $14,000 / 36 months, or $208/month. Note: the down payment should be deducted from the negotiated selling price to arrive at the net capitalized cost. Continuing with example above, let us say that the money factor rate of the car lease is 8%, or 0.00334 (if the car dealer gives you the APR rate of 8%, simply divide it by 2400 to get the money factor rate). Using the formula above, the finance fee is $21,500 + $14,000 x 0.00334, or $118.60. Simply add the depreciation fee and the finance fee to arrive at a monthly lease price of roughly $326/month (sales tax not included). Of course, if you can further negotiate the selling price, make a larger down payment, and negotiate a lower money factor rate, you can expect to pay lower than in our example stated above. 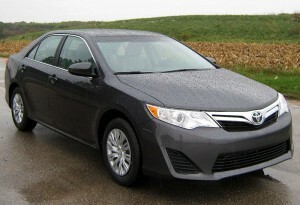 Also keep in mind that the lease price will also vary depending on the type of car you want to lease. If you choose a more expensive sedan or SUV, then your lease price will be higher. You should take the time to find updated new car lease prices so can have a chance to compare lease offers from multiple car dealers near your area.